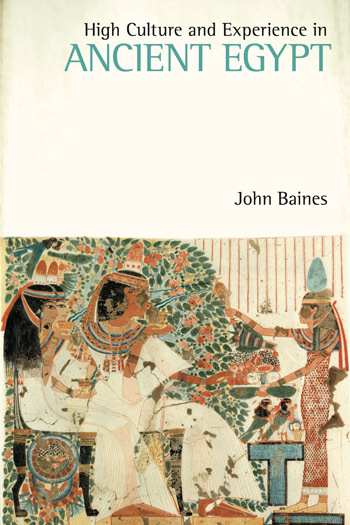 John Baines is Professor of Egyptology at the University of Oxford. His principal publications are on Egyptian art, literature, and religion. He has also studied the role of writing in Egyptian society and high-cultural legitimations and concerns of elites. His publications include Visual and Written Culture in Ancient Egypt (2007) and The Disappearance of Writing Systems (co-edited with John Bennet and Stephen Houston, Equinox, 2008). 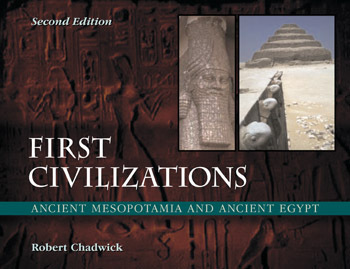 This novel work uses case studies of both familiar and unfamiliar materials, expanding consideration of ancient Egyptian elite culture to encompass lived experience and exploitation of the natural environment. The opening chapter sets out the conceptual ground for the analyses that follow, arguing that the relatively ephemeral activities under investigation were centrally important to the actors. The first and largest study treats human organization of the landscape and its use to create and transmit elite meanings, especially through pictorial and encyclopaedic forms, and to mobilize emotional values. Next, a treatment of the planning of primarily third millennium settlements on the floodplain argues that Egypt offers a partly rural perspective that provides an alternative to the urban focus of many early civilizations but has parallels in elite culture in much of the world. The third study discusses how a single year’s events were orchestrated to culminate in a celebratory hunt in which the king, his court, and high officials participated. The concluding chapter presents an initial synthesis of Egyptian treatments of elite experience, drawing in particular upon additional evidence from literary texts and attitudes to travel. Throughout the book, aesthetics and the cultivation of pleasure and delight are emphasized as essential to ancient elite life. 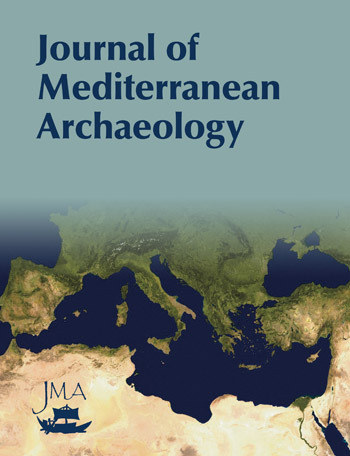 This novel work uses case studies of both familiar and unfamiliar materials, expanding consideration of ancient Egyptian elite culture to encompass lived experience and exploitation of the natural environment. The opening chapter sets out the conceptual ground for the analyses that follow, arguing that the relatively ephemeral activities under investigation were centrally important to the actors. The first and largest study treats human organization of the landscape and its use to create and transmit elite meanings, especially through pictorial and encyclopaedic forms, and to mobilize emotional values. Next, a treatment of the planning of primarily third millennium settlements on the floodplain argues that Egypt offers a partly rural perspective that provides an alternative to the urban focus of many early civilizations but has parallels in elite culture in much of the world. The third study discusses how a single year’s events were orchestrated to culminate in a celebratory hunt in which the king, his court, and high officials participated. The concluding chapter presents an initial synthesis of Egyptian treatments of elite experience, drawing in particular upon additional evidence from literary texts and attitudes to travel. Throughout the book, aesthetics and the cultivation of pleasure and delight are emphasized as essential to ancient elite life. This chapter introduces the aim of the study, as well as the main topics of each chapter. High culture is presented as a domain that structures aspects of elite life and is indispensable in imparting full meaning to it, as well as intensifying its self-contained character. The book considers the physical environment and the landscape vital, and the themes as having implications for the urban–rural balance. This chapter presents the landscape as a phenomenon and the ways in which it can be approached and applied to specific cultures. It further presents different aspects of the Egyptian environment as it is now and as it was in antiquity, as well as significant modifications of that environment. Moreover, the cosmological organization of sacred spaces and pictorial and symbolic representations of landscapes are discussed; while the concluding section recapitulates the material reviewed and offers the first stage of a synthesis that also serves as an introit to the discussion of planning in Chapter 3. The chapter reviews more deliberate treatments of settled space also through human intervention, especially estates and their distribution, as much for symbolic as for pragmatic purposes. Settlement, as the prime context of planning of human environments, is considered socially riven. This chapter is organized around an instance of a royal hunt that is narrated in an official inscription. Hunting is an ideologically prominent activity and institution in many or most societies, ancient or modern. This chapter draws together some threads of argument, discussing movement, travel, and presence, with the aim of broadening the interpretations offered. In this respect, two fundamental contexts and meanings for the category of experience are offered. The significance of experience is brought into focus by the first-person form of most biographical inscriptions, device which is paralleled in many Egyptian literary texts. One of the best aspects of this book [is] a stubborn focus not just on the evidence for elite experience in ancient Egypt, but on the human beings who lived this experience. If the point of archaeology is to move beyond the archaeological evidence toward an understanding of the people who produced this evidence, then this book is an admirable success. In the Introduction this carefully produced book sets out the methodological approach and the obvious challenges in a context where those expressing experience were limited by rules set up to define what was appropriate for being displayed (decorum). But as this book deals with sociology rather than the consumption of aesthetics, its author also convincingly shows that the leisured classes were striving for enjoyment, celebration and appreciation of the finer things of life. Provides a gold mine of information of elite culture, that will in parts appeal to both the interested non-specialist and the scholar. It emphasizes once again how elite self-representation and location of the tomb owner with respect to other decorative elements underlined his (occasionally her) status. In a pleasantly illustrative way the book shows how, in spite of the formalized decorum, evidence for individual experience can be derived from the emphasis of certain themes or key events in both pictorial and written decoration; and opens many options for further discussion and research.